I've traveled to and from Ireland with my dogs a few times now. 3 times to be precise (2006, 2007 & 2014). America was always on the other end of those travels, which thankfully resulted in no mandatory quarantine for my pets. 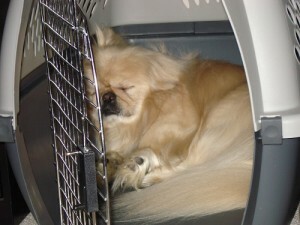 In the past, animals would need to be quarantined for up to 6 months upon arrival in their new country. Crazy! I've learned a lot about moving animals internationally, and a lot about keeping the costs down too. 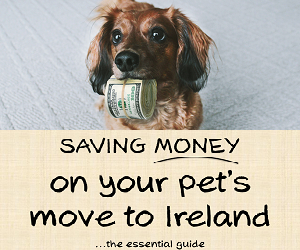 In fact, my e-book "Saving Money on Your Pets Move to Ireland" goes into great detail to describe the many ways you can avoid overpaying for your own pets move, including saving on a number of 'hidden' fees. I'm sure much of the knowledge that I share here in this blog post, and within the e-book, can help you plan your own pet's travel. Back in 2006 and 2007 when I first traveled with my dogs to Ireland, I did all the paperwork, airline booking and arranging of vet checkups myself. I'm not sure when the change happened, but now the airlines that fly pets in to Ireland (Lufthansa and Aer Lingus from west coast of USA) require that you use a professional pet re-locator service. You can expect this to result in a higher cost of transport. Much higher! See below for more on this. 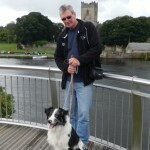 Knowing I needed to use one of these pet re-locator services to get my dog over to Ireland, I began to shop around. If there's one piece of advice you take from this article, it has to be get plenty of price quotes. The gap in estimates I received to send a small dog (25lbs) from California to Ireland varied from $1665 to $4285 (sorry, that's not a typo) for airport to airport service. This did not include the extra fee of 230 Euro payable to the pet handler service in Dublin, or any other fees due for vet bills, USDA certificate etc. Can you imagine my feeling of displeasure (to put it mildly) when I received those quotes? In 2007, I managed to take a dog from CA to Ireland for far less that that. 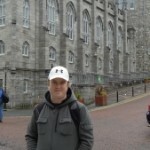 In response to the high cost of sending a dog to Ireland, I wrote my money saving e-book to help others keep costs down. Having moved with dogs internationally a number of times, I have learned an incredible amount on this topic, and you will be amazed to see just how many opportunities there are to save literally hundreds of dollars. If you're interested in the e-book you'll find more details here. As you receive price quotes be sure to read the fine print carefully, and be very clear about what the price covers. Some companies only offer airport to airport service, others will offer door to door, and other in-between options. 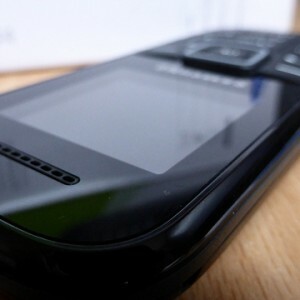 When comparing prices, you'll want to be sure you're comparing like for like. 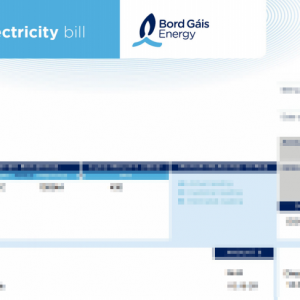 Here's a breakdown of exactly how much I spent, and on what, when I sent my dog to Ireland in 2014. Of all the pet re-locators I contacted, two stood out as being the most professional, and both seemed very reputable. One of those quoted me the lowest fee ($1665), and the other quoted $4000 for the same type of service (airport to airport). I went with the lower quote (obviously!). We'll call them DogMoverCompany. Flight times, arrival times, layover info. What their relationship to the people handling the dog in Germany is. 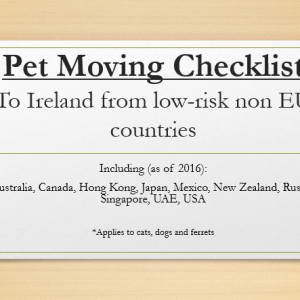 In case any pet re-locator reads this blog post, please note: people who are planning an international move do not have time to be doing all this back and forth. If your fees need to be as high as they are, then at least try to make our lives easier by giving us as much information as you can without the need for us to ask. I alluded to this above and it is a good thing to know so you don't make the same mistake I did. Do not assume your pet can get on any commercial flight (this is especially important if you are planning to fly with your pet). In fact, I was told that Aer Lingus would fly my pet to Ireland, but when I went to arrange this, I was told my only option was with Lufthansa (I had already booked my own flight with Aer Lingus). I was hoping for a low-stress journey for my dog (San Francisco direct to Dublin). Instead she ended up going from LAX to Germany, and then to Dublin after an overnight stay at Frankfurt airport. The EU pet passport scheme has some very strict guidelines and timelines that you must adhere to in order for your pet to be allowed to travel. Your pet re-locator should explain those to you, but if you want to read up on the details ahead of time, visit the Irish Department of Agriculture website. The timing of when the dog has been micro-chipped is hugely important (it must happen before everything else), as is when they received their rabies vaccination and tick and tapeworm treatment. (I don't want to give the timeline information here in case it changes). If traveling from the United States you will also need to have a completed USDA form for your animal. You will either need to bring it to one of their local offices, or expedite it there and back to be sure you receive it in time for your pet's travel. Keep in mind that if your animal is traveling long distance, or has a layover, they may arrive a day later than you were expecting. The time difference between your point of origin and Ireland will play a part in this too. Keep this in mind when making vet appointments, so that you are sure you are meeting the timeline requirements for the pet passport. Having already flown to Ireland from the US with a dog before, I knew my dog would need to fly in to Dublin. I don't think there's any way around this, so be prepared to have Dublin as your first port of call. Your animal will be picked up at Dublin airport, and from there be whisked off to Lissenhall Veterinary Hospital in Swords. Currently they are the only Department of Agriculture approved inspection site for all pet passports entering Ireland through Dublin Airport. Plan your own travel accordingly, or if you have someone coming to pick up your pet for you, be sure they know where to go. You won't get to see your pet in Dublin until they have been inspected and cleared by the vet. This was a surprise to me, but yes, it is likely that you can send your pet ahead of time and have someone pick her up for you on the other side. As much as it was not my preference, I had to send my dog one week before I traveled, and had someone pick her up for me in Dublin. As mentioned above, your pet will fly in to Dublin if you're using the EU pet passport scheme. If you're traveling elsewhere in Ireland by train, then you can bring your dog along for the ride 🙂 The Irish Rail policy indicates that the dog must be kept in their crate while on the train. Travel crate if not included in re-locator fee. You might also be interested in another article I wrote where I shared a complete breakdown of all my costs for sending my dog to Ireland from California. Your animal needs to be micro-chipped (in some cases a clearly readable tattoo will suffice, but the best option is a micro chip). Your pet re-locator should guide you through exactly what you need, and how to check if the microchip your animal already has, meets the requirement of the Irish Department of Agriculture. Good luck moving with your pet. It's a bit stressful, and the process can seem quite drawn out, but hopefully it'll all be worth it. I'm eager to hear of other pet travel tips. If you'd like to add to the conversation, please comment below, or add your feedback in the forums. EU pet passport.. We only travel between Ireland and the UK but have passports for both dogs just in case.. Technically (legally) you need a passport for UK/Ireland travel at this time due to EU legislation but this is commonly ignored.. If taking a dog to Continental Europe from Ireland (viceversa) however All requirements have to be met..
Good to know, Tony. I know my uncle goes freely back and forth between London and Ireland with his dog. He just sits him into the car for the trip over on the ferry. I didn’t realize a passport was legally required, but I’ll keep that in mind for my own travels. As an FYI when I talked to one of the providers they said Aer Lingus does not accept pets for the SFO->Dublin flights. Apparently it is too long of a flight for pets. I found that out the hard way, David. I booked my own flight first on that route, then found out my dog couldn’t travel on it. What’s considered too long of a flight varies by airline. She ended up flying LAX-Frankfurt in Germany, which is an even longer flight. While I agree it is a very long trip for a dog, it would’ve been a much shorter journey overall had Aer Lingus accepted her for travel. 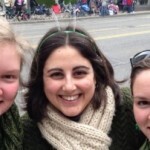 She had to stay overnight in Germany, and then fly to Dublin the next day from there. Funny thing, I was just researching this on Google and this popped up 🙂 I’ll keep this bookmarked. I have a mini schnauzer and will need to bring him over when the time comes via Chicago. I’m terrified of the costs involved. Yeah, sorry to tell you Caolan, it ain’t cheap! I’m sure you’ve checked out the other post on costs associated with it on here, and you’ll see exactly what I spent. My best advice is shop around for your pet mover. It’s crazy that you HAVE to use one. I’ve done it all myself in the past, and paid a tiny fraction of what I did most recently. Give me a shout if there’s anything else on the topic you have questions about. Liam, what was your experience of the effect on the dog(s)? I have a 14-month head start and am wondering if there is training or conditioning I can begin to help my pup with the flight. My dogs honestly did great, and from everything I’ve read over the years, more often than not that’s the case. Each time though, we did our best to take the best route, to give the dogs the least amount of travel time, and least amount of time in the kennel. I’d start calling around to see what you’re options are. A few calls to the various pet travel companies and airlines might give you an idea of what you expect for your pet. Also some of the better-run companies offer guidelines/suggestions for how to prepare your dog for the trip. Your vet might have some tips too. They deal with many cases of pets travelling internationally, so definitely worth talking to about it. Best of luck with your planning. I hope you’ll find the site useful. Thanks, Liam! You’ve put me a bit more at ease. I plan to fly only from Boston to Dublin. We’ll drive to Boston, where my sister lives. I was glad to learn that my dog can travel via rail in Ireland! Yeah it’s not too far from Lissenhall (the Vet place in Dublin) to the train station. My mom picked up my dog last time, and took a taxi to/from Heuston. I’ve been thinking about how to handle this myself. Our dog is about 30 lbs. She’s a small Beagle mix. I live in Arizona, there’s no direct flight. I’ve been thinking when the time comes to move home, I’ll rent a car and drive with my dog across the country to Boston. From there, we’ll get the flight to Ireland. I’m really worried about the flight for her. She’s a very sweet but cowardly dog. She’s timid at the best of times and I’ve heard it can be traumatic for the dogs. They are on the active runway with no protection for their ears. The least I can do is try to make the flight as short as possible, I think. Definitely feel your pain on this one. We actually did that with our first dog about 10 years ago. We drove from CA to NYC so that she’d only have one ‘short’ flight. I must admit, it was tough! We probably didn’t give ourselves enough spare time. We were aiming to get to NY two day’s before our flight, which was fine, but didn’t give ourselves enough time on the road. Driving 10/12 hours/day, through crazy weather at times, was exhausting. All that cramped into a sedan, with all our luggage and the dog. In saying that, I’d still recommend flying if possible. 40-60 hours in the car over the space of a few days is really tough going. Not just for humans, dogs too. One more thing – remember your dog has to visit the vet ~24 hours before flying. Make sure you figure that out ahead of time. We saw a vet in NYC, which worked out fine. An alternative to the flight, and definitely competitive price wise, is sailing. Only one company currently takes pets and that us Cunard. Cunard sales 1-2 times per month from NYC to Southampton, UK. Last year when I talked to them the fee for the dog to cross was $150. Fares start as low as $700 per person for 2 or $1400 if traveling alone. The crossing takes 7-8 days. Explore huge savings opportunities in my pet moving money saving guide!